We humans, despite our best intentions, often don’t make rational decisions when it comes to our own health. Just because we know what we should be doing—say taking a blood pressure medication daily or getting in 30 minutes of exercise most days of the week—doesn’t mean we are actually doing it! The consequences of these decisions can impact both our health, and our employer’s bottom line. As employers look to control health care costs and keep their workers healthy, a relatively new area of interest has emerged—behavioral economics. 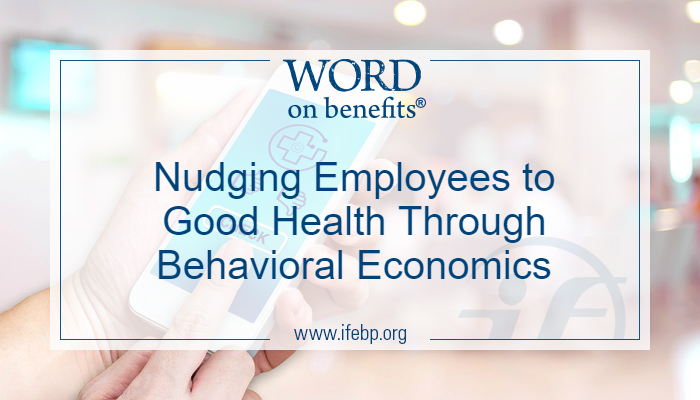 This area of study blends insights of psychology and economics to provide a framework for employers to understand their employees’ decisions and encourage healthier behaviors. Many employers are already implementing the theories of behavioral economics in their employee benefit plans and communications (perhaps without even realizing it), and nearly two in five are interested in learning more about how to do so. 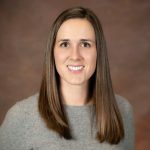 During a recent gathering of industry thought leaders from the International Foundation of Employee Benefit Plans, 39% reported that they are interested in using behavioral economics to help employees adhere to medical treatment plans—with the ultimate goal of reducing barriers and making healthy behaviors easier. 10% eliminate barriers through reduced or eliminated copayments for those with chronic diseases. Three in four employers report that it’s important to their organizations to help employees select the right health insurance plan. Eighty-five percent of employers have found success in helping employees make better decisions through plan design features such as premium contributions, deductibles or coinsurance; 77% through descriptive plan materials; 45% through workshops or seminars that provide guidance; and 34% through one-on-one counseling sessions. Employers also report using incentives to encourage participation in their wellness programs—most commonly gift cards, noncash prizes or raffles; cash awards; or gym discounts or reimbursements. Employers are most likely to offer incentives for participation in health screenings, health risk assessments, fitness programs and smoking-cessation programs. These findings were gathered during an April 2018 International Foundation of Employee Benefit Plans board and committee meeting of thought leaders from employers across the U.S. and Canada and from the report Workplace Wellness Trends: 2017 Survey Results.